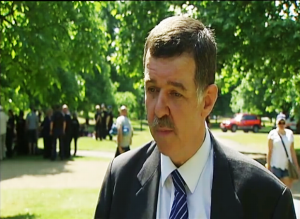 Martin Weaver of Trauma Resilience Training talks to ITV News about our programme at the 8th Commemoration of the 2005 London bombings, in Hyde Park London..
• Education – identifying normal physiological and psychological responses to trauma. • Strategic advice on ‘Defusing’ – what is this and why it is critical to recovery. • Imagery and skills training. • Customised and confidential help to construct Support Networks. The Trauma Resilience team first came together while working for the 7th July Assistance Centre set up in 2005. We have seen first hand the damaging effects of terrorism and have worked closely with those affected to help restore their equilibrium and psychological health. Our training has been designed both from our own experience in this field and by closely following all the exciting new developments from research conducted around the world, all affirming the positive affects of Resilience Training. Trauma Resilience Training is designed to help individuals and organisations that have an increased risk of exposure to traumatic events. A central component of the course is to enable positive adaptation in the event of a critical incident and aid a swift return to normal functioning levels, both at home and at work. Evidence shows that advance training is a significant factor in building ‘Resilience’ to potentially devastating events. The Trauma Resilience team first came together while working for the 7th July Assistance Centre, following the London Bombings in 2005. We have seen first-hand the damaging effects of several international disasters and incidents, working closely with those affected to help restore their equilibrium and psychological health. Our training has been designed both from our own experience in this field and by closely following all the exciting new developments from research conducted around the world, all affirming the positive effects of Resilience Training.